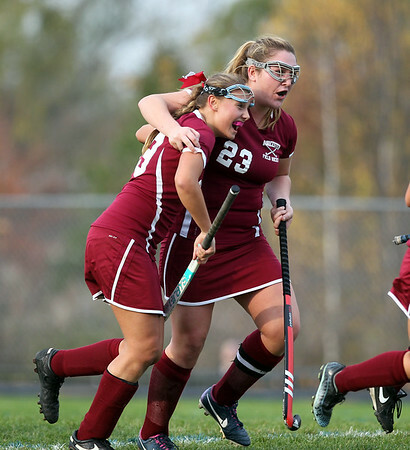 Gloucester junior Matlida Grow (19) gets a big hug from senior teammate Chloe Flavin (23) after Grow scored the second goal of the game for the Fishermen, to give them a 2-1 lead over Ipswich on Wednesday afternoon in their D2 North first round game. DAVID LE/Staff photo. 10/29/14.